The 2017 (seventh annual) Legacy of Legends will be held March 3 – 5 at the Will Rogers Event Center in Fort Worth, Texas. 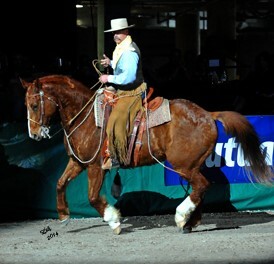 This year, the main attraction is an invitation-only colt starting demonstration. 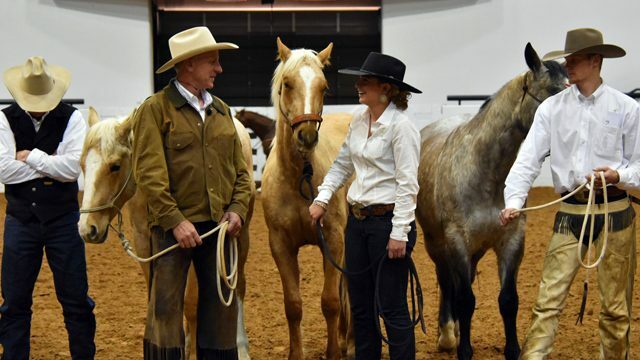 More than 30 participants have been invited to start young horses during the three-day event. “Ray’s favorite part of the clinics was always the colt starting,” says Carolyn Hunt. Carolyn was speaking about her late husband, the celebrated horseman Ray Hunt. 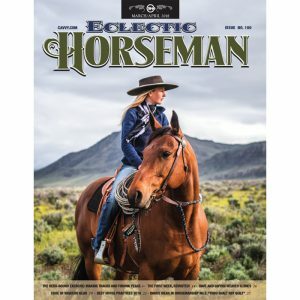 She and horsemanship clinician Buck Brannaman are the founders of the Legacy of Legends, an event created to remember, showcase, and further the teaching and principles of two legendary horsemen, Tom Dorrance and Ray Hunt. 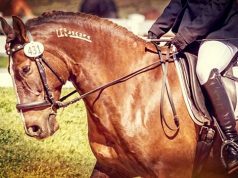 “He always contended that the most important thing you could do for your horse was to give him a good start,” Carolyn explains. 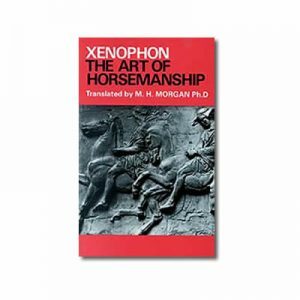 “He said it pretty much determined what the rest of that horse’s life was going to be if you could get some confidence and some trust between the horse and the rider that first ride, and get that horse to mentally turn loose and let down physically. 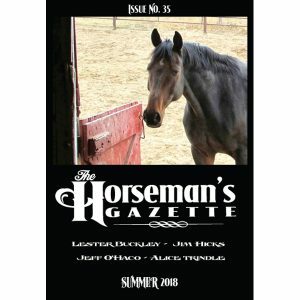 Carolyn often gets asked by people across the country for information on who to go to for horse help in their regions. 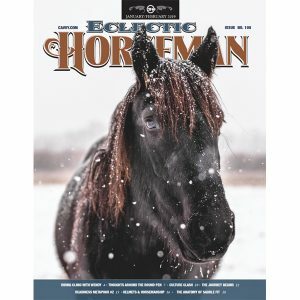 This year’s event is a way for folks to come and see many capable horsemen and horsewomen that are scattered from Canada to Mexico. Below we provide mini-profiles of a handful of the more than 30 hands who will be starting colts at the Legacy of Legends this year to provide an idea of the kinds of participants attendees can expect to see at work. Among the colt starting demonstrators this year at the Legacy of Legends is a mother/daughter team—Sheryl and Tiffany McLaury. 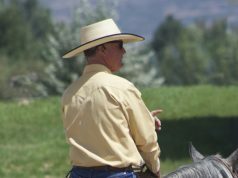 Sheryl’s husband (and Tiffany’s father) is cowboy, horsemanship clinician, and familiar face at the Legacy event, Buster McLaury. Sheryl and Buster work together throughout the year, and Tiffany often gets hired on to help them start colts. 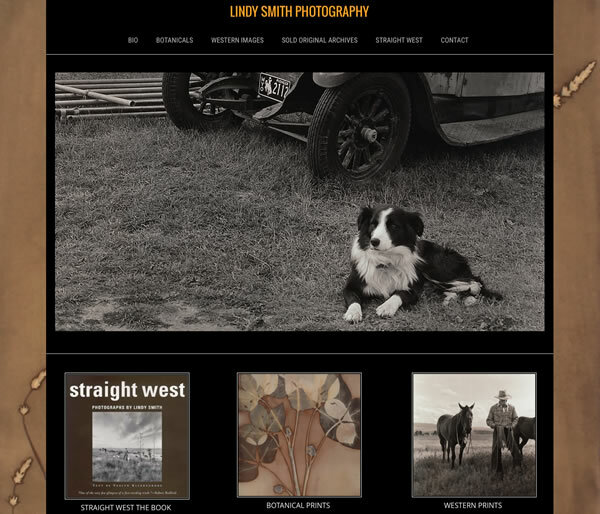 Sheryl was raised on a ranch in Paducah, Texas and was always around horses. Buster grew up on the famed Four-Sixes Ranch in Guthrie, Texas. 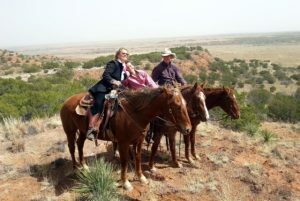 They have been married for 40 years and raised Tiffany, who is now 37, in ranch country. 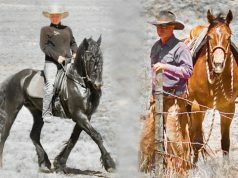 Sheryl and Tiffany bring to the Legacy of Legends direct knowledge of Ray’s horsemanship. Tiffany explains that Sheryl, Buster, and she try to take Ray’s teachings to heart, and that they try their best to honor what he knew and taught. “I think it comes through with everything that they and I do,” Tiffany says. “For me, it’s just getting a horse to try—trying to convey what you want to the horse in a way that he understands it. And, watching your thought become his thought. Getting a horse to try is one of the main things. Even if he does ‘the wrong thing’ from what you were asking, I think it’s noticing those little things he does try to do and then working with that to get what you initially wanted in the first place. 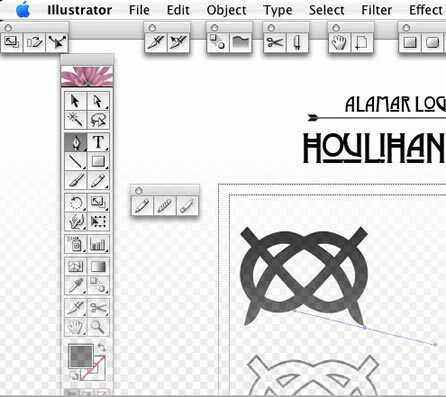 I think that part sticks out to me more than anything, just getting one to try. 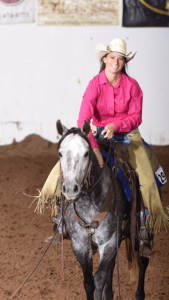 Barb Gerbitz was nominated to be invited to start a colt in this year’s Legacy event by a student of hers. 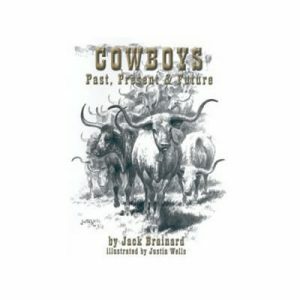 She had ridden with Buck Brannaman for many years, so her work was familiar to him. 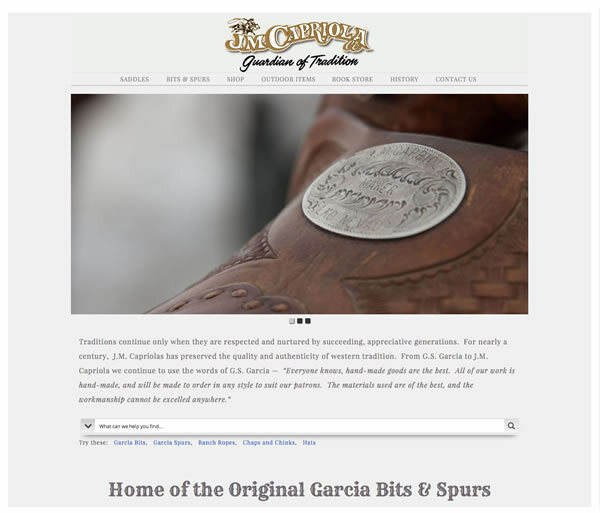 Barb owns Gerbitz Quarter Horses in Tampico, Illinois and grew up in Oak Park, Illinois. She really didn’t do much with horses before going to college. 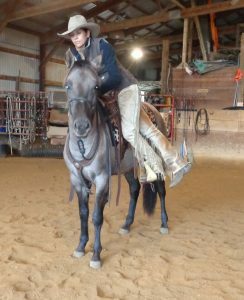 She began in a pre-vet program at Blackhawk College in her home state, and she saw that they had a horse program. 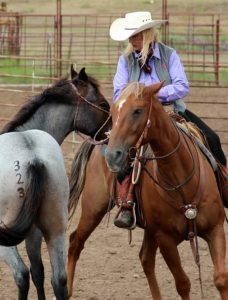 Blackhawk College provided work study opportunities for students to equine farms and training facilities, and Barb went to Weatherford, Texas and worked at the Bar H Ranch, a cutting facility. She also worked for a reining, hunt seat, western pleasure facility in Iowa. After graduation, she worked for a trainer in Illinois. Now at 44, Barb has started thousands of colts. “It’s really all consuming for me,” she says. “That’s why people bring horses to me. 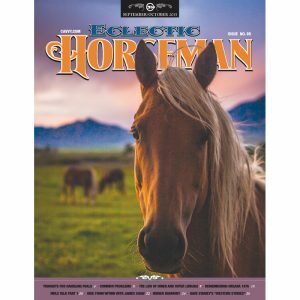 I was here trying to figure out a lot of things on my own and I’d run into trouble and that was how I first reached out and met Buck Brannaman in person, because I did have a horse that was kind of what I’d call a back breaker. Over the years I’ve gone to other clinics where he gives me a little piece of advice and I take it very literally and I work on it. He’s kind of given me an excellent focal point—a way that works for me. 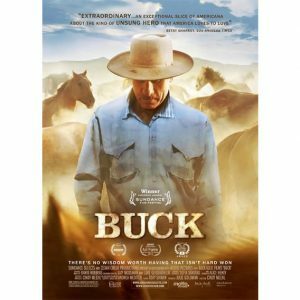 I’ve just aspired to be as good for horses as Buck has become, and I know that his main mentor was Ray. 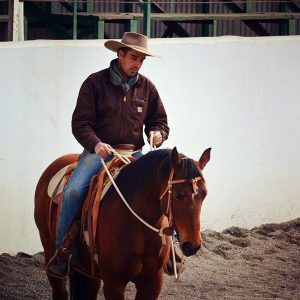 Ricky balances his time now between buying and selling stocker cattle when at home on his ranch in North Platte, Nebraska and traveling extensively teaching horsemanship clinics. At that time, Ricky was lined-up to go to Minnesota to be a pipeline welder. Ricky wanted to go to work for Buck. But it was Buck’s wife Mary who lined up a job for Ricky at McGinnis Meadows in Libby, Montana with Shayne Jackson. Ricky is 36, and has been to all of the Legacy of Legends events to date. 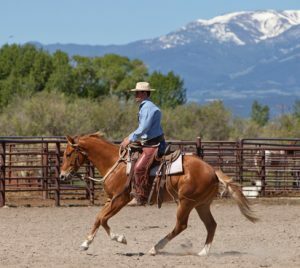 Ricky considers the Legacy of Legends to be enjoyable family time as well as a great opportunity to see and share in the horsemanship of Tom and Ray. “I worked and traveled with Buck for several years, years ago,” says Kip Fladland. Kip co-owns La Riata Ranch in Griswold, Iowa with his wife, Missy. 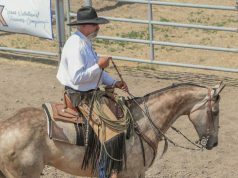 Kip starts colts, rides problem horses, and teaches clinics around the country. The range of ages and experience in the field of 30+ colt starters presenting this year is vast. Kip represents not only the more experienced end of the spectrum in general with over 30 years of experience working with horses on ranches and elsewhere, including five years of working with Buck Brannaman on the road, he, unlike many of those participating, brings direct knowledge of Ray Hunt and Tom Dorrance to the arena. Kip grew up riding horses in Montana since his grandparents on both sides of the family had working ranches in that state. “When I was in high school I had an opportunity to work for a guy who was showing AQHA horses,” he says. “He had gone to school with Brannaman and had been to several Ray Hunt clinics, so he kind of showed me real basic things, but certainly a different way than what I had grown up doing. And that would have been in 1985, but I didn’t meet Buck until the fall of 1991, and I went to my first Ray Hunt clinic in 1990 or so. Learn more at La Riata Ranch. “My family, we are a three-generation family of charros in Mexico,” says Carlos Mancera Esquivel. 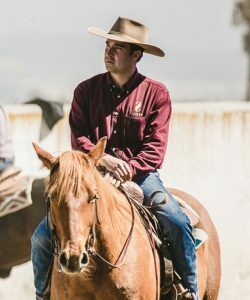 Carlos is a Legacy of Legends scholarship recipient who spent three months last year working with horsemanship mentors in the United States. He has been invited back to start a colt in this year’s event. Carlos pursued a professional life in Mexico City and became a political consultant. At the height of his career, he was a consultant to the mayor of Mexico City. Carlos is now 31, but he was 26 when he left politics and the city to return to the ranch and work with horses. In Mexico, Carlos says there are only a few horsemen who are teaching the kind of horsemanship that he is interested in learning. 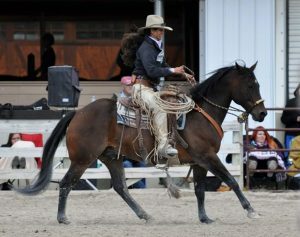 Carlos won the Western Horseman magazine sponsorship so he had the opportunity to have a three month scholarship. Carlos was invited to start a colt this year when he was with Jaton and Carolyn discussed the prospect with him. Once Carlos got exposed to the kind of horsemanship promoted by Tom and Ray, his goals became to keep learning about it and improving, but also to share it with others in Mexico. “That would bring a good change here in Mexico because we have really good roots about getting along with horses but we kind of forgot our heritage,” Carlos says. 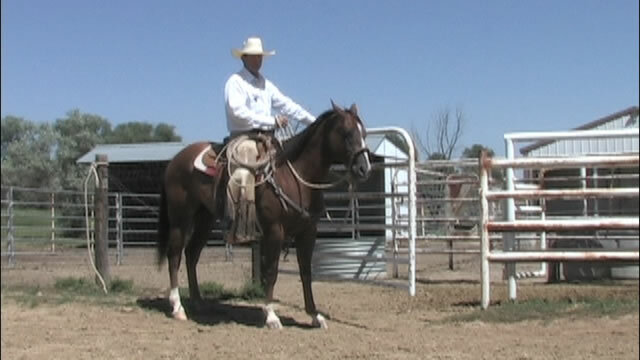 “Since three years ago, I’ve been boarding horses as part of my income and I have a small ranch here. I train my own horses. And since I got back, people are asking me to give clinics—so that’s funny because now more than ever I feel like a beginner, so I always tell them, ‘I can share with you what I know, but what I don’t know, we will figure it out together.’ So my plan is to keep doing it and keep taking clinics in the States. This year my goal is to go back and take a Harry Whitney clinic.” Carlos is very honored to be asked to start a colt this year.